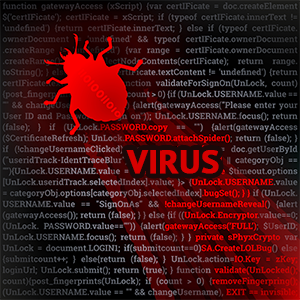 Computer viruses and malware are threats to your valuable files and computer. They are invaders and harmful to legitimate applications. Know the important facts about computer viruses and malware to prevent malware invasion. Fileless malware has been around since the early 2000s. But fileless malware attacks started to rise in 2017. Fileless malware is any malicious software that never relies on an executable file to spread. Traditional computer viruses and malware are attached to an executable file. When the user runs the file, the malware installs. Fileless malware loads on the computer memory when the user opens a phishing email. Fileless malware uses Windows Powershell to perform malicious activities. The Windows Powershell is a command-line that provides access to the file system. Every script is written on the memory that gets deleted when the computer restarts. Since the script is invisible in the hard disc, fileless malware evades the detection of traditional malware virus removal tools. Many users neglect system updates, but it is an important part of preventive measures. Computer viruses and malware exploit system vulnerabilities. Exploit kits scan a device, a website, and software for vulnerabilities. Once exploit kits discover a vulnerability, they insert malware. System vulnerabilities are the results of coding errors. They get fixed when the user installs a patch. Malware virus removal tools with patch management also fix system vulnerabilities. Computer viruses and malware also lurk on legitimate websites. Hackers target legitimate websites to spread malware on the Internet. This January 2019, Trend Micro found some spyware infected apps on Google Play. The infected applications include Flappy Birr Dog, HZPermis Pro Arabe, and FlashLight. The others are Win7Launcher, Flappy Bird, and Win7imulator. They already had over 100,000 downloads from different countries. Spear Phishing remains the number one cause of computer viruses and malware infections. In 2018, CSO said that 92% of malware was distributed by email. Spear Phishing is a fake email that contains an infected attachment. When the user downloads the attachment, it spreads malware in the computer. Spear Phishing uses threat or curiosity to trick users into opening it. An anti malware is software that combats computer viruses and malware. It deep scans the computer to detect and block malware on the computer. It also scans the files that enter the computer to prevent malicious software. Using advanced security features, anti malware software detects fileless malware. This keeps the computer memory safe. Anti Malware software is the primary defense against computer viruses and malware. Where to Download Anti Malware Software? Comodo Anti Malware is one of the reputable anti malware software. It detects computer viruses and malware using advanced malware detection tools. It is easy to install and use. Download it for free. For a business network, Comodo Advanced Endpoint Protection is central security software designed to protect the network and endpoints. Comodo Advanced Endpoint Protection combats fileless malware with HIPS. It is an advanced security feature that monitors the computer and registry to prevent fileless malware attacks. It detects sophisticated malware that can bypass the firewall and antivirus. Comodo Advanced Endpoint Protection detects spear phishing through a class packet filtering firewall. It filters network traffic. The firewall also monitors data transmission to prevent malicious activities on the endpoints. A drive-by-download is when malware installs secretly in the background. A malicious website is the common cause of a drive-by-download. Comodo Advanced Endpoint Protection detects drive-by-downloads. The malicious file is contained in a virtual container and deleted from the computer. Comodo Advanced Endpoint Protection was named the Best Ransomware Protection in the 2018 Cyber Excellence Award. The Auto-Containment is a sandbox-based technology that is built on Default Deny. It detects ransomware in no time. The Auto-Containment separates ransomware from the legitimate software to prevent it from encrypting files. The Comodo Advanced Endpoint Protection has a unified console with patch management. It automatically searches for the software updates for your operating system. Thus, helps fix bugs on the computer. Computer viruses and malware is spread on the Internet. They are lurking even on legitimate websites. An unprotected computer can get infected easily. Download Comodo Advanced Endpoint Protection to secure the network and endpoint devices.